Nothing but a bunch of lies. 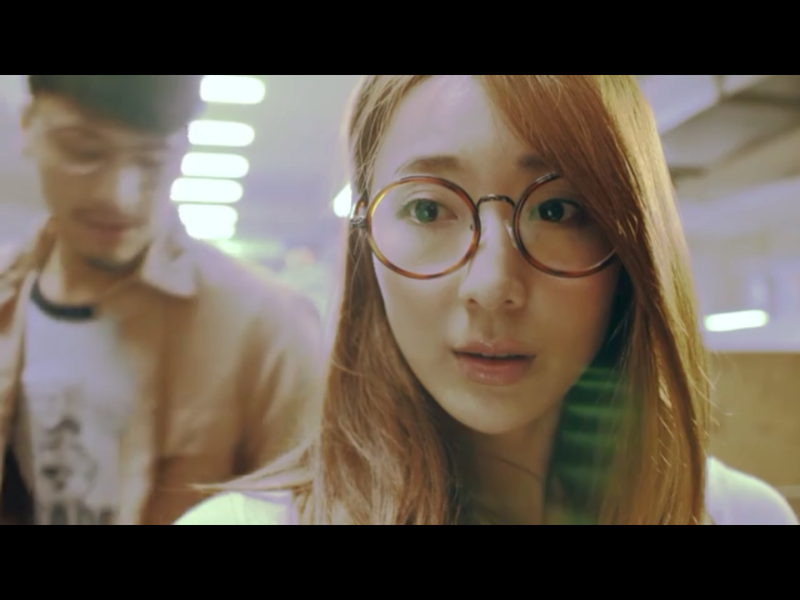 Meet college-era Hai Ning and her comical glasses. Per usual, Hai Ning is out on another date with yet another suitor. And like always, Hai Ning doesn’t give an eff about this guy because all she can think about is Zhe Ming. You would think that since she’s using these guys for her book without their permission, she could be a teensy bit nicer to ’em. Nope? Carry on then. Hai Ning’s meeting with an author to negotiate to have his book published with her publishing company. Too bad for them though because there are a bunch of other companies fighting to win the publishing rights. Hai Ning tries her hardest to convince the author, but he doesn’t agree to do it. In the end, they only get the option to buy his lesser-known book, Lies. While everyone’s stressing out on how to win the publishing rights, the suitors keep on knocking on Hai Ning’s Facebook wall. The latest one turns out to be Hai Ning’s older classmate from college, who she conveniently had a major crush on. She apparently was won over by not only his good looks (ehh…), but also his poetry skills. FLASHBACK! After wasting an entire class staring at Mr. Poet instead of paying attention, Hai Ning rushes to find him. She just so happens to find him in the middle of an intense poetry-writing session, and he is more than willing to read his latest work to her. Psst…it’s not very good. She’s so impressed by his talent, that she offers to help him type up all his drafts. Their partnership fizzles out when Mr. Poet gets jealous that Hai Ning wins the top prize in a writing competition over him. When he gets writer’s block right before a deadline, he just straight-up plagiarizes one of Hai Ning’s works! Hai Ning meets up with Mr. Poet for their date, and she offers to pay for the movie tickets. He tells her that he’ll take care of his own ticket, but she can still treat him to popcorn. Jeez, how gentlemanly. They engage in some small talk before the movie starts, but it’s definitely giving off an awkward vibe. You can bet Hai Ning feels it too, judging by all the faces she makes while he’s talking. Mr. Poet and Hai Ning meet again another day, and he apologizes for plagiarizing her all those years ago. He tells her that after that incident, he gave up on his writing dreams. Hai Ning asks him why he’s looking for a wife, and Mr. Poet admits that he’s never had a girlfriend before. He asks her the same thing, and of course she doesn’t come clean about her social experiment book. Mr. Poet says that when he saw her Facebook ad, he wanted to meet up with her to see if she’s still the same person he knew. Mr. Poet agrees to go on a blind date arranged by his mother because he knows that this is the only way he’s gunna get a wife. At first, the date is pretty awkward, but then he and the girl notice that they have all the same quirks. To fill the awkward silence, Mr. Poet asks the girl if she’s read the book, Lies. They quickly bond over the book, and it’s looking like this blind date is a success. You read?! I read too! Lies has got all of Taiwan completely obsessed, and it’s reaching Fifty Shades of Grey-level mania. It quickly reaches the top of the bestsellers list, and everyone at the publishing company is excited that they finally have something after those Cheng Hao books. While everyone’s outside exchanging congrats, Hai Ning is by herself in her office texting Zhe Ming about the book. He replies with his trademark cheesiness, and I’m just like so whatever about it. Hai Ning loves it though, duh. In another flashback about Mr. 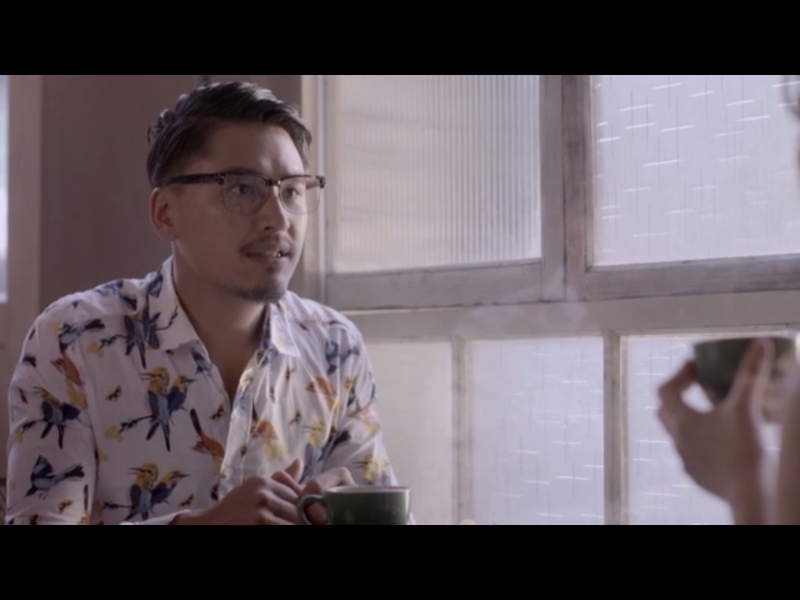 Poet, Hai Ning gives him a love confession but is promptly rejected. Btw, this is after he plagiarized her stuff. He tells her that they’re two very different people, and she’s just his writing partner and typist. During her date with Mr. Poet, he won’t stop talking during the movie. On top of that, he’s also a loud chewer. AND he falls asleep. Yup, good date. Bei Bei thinks Universe is cheating on her with Tian Xin because she sees pics of them on Facebook when he told her he’s busy. Of course there’s nothing going on between them! Tian Xin was only helping Universe buy a birthday present for Bei Bei. Bet Hai Ning’s glad she didn’t buy his ticket.